With preseason underway, it’s time to suit up for a new season of football and tailgating. With football coursing through my husband’s veins, it’s important to have a game plan for entertaining and feeding hungry armchair quarterbacks. Lucky for me Sam’s Club has a 48-count box of SNICKERS® candy bars and a nifty 105-count variety bag, which are both great for half-time snacking. 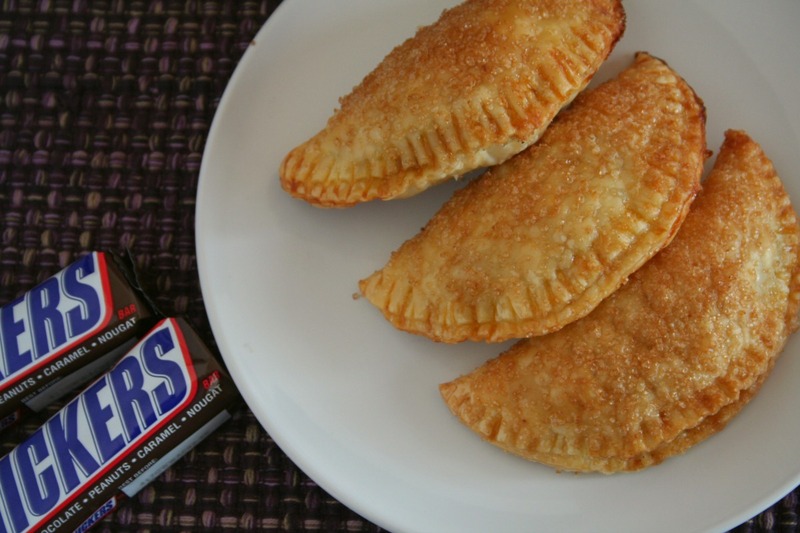 But these candy bars are also great inspiration for other treats, like this recipe for Cinnamon Apple Empanadas with SNICKERS®. 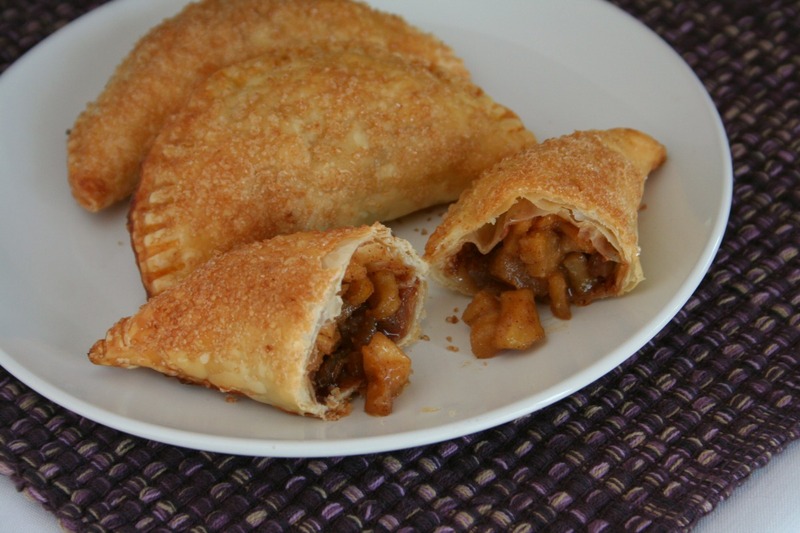 The chocolate, caramel and roasted peanuts pair amazingly well with the cooked apple filling loaded with cinnamon and a hint of nutmeg. It’s like a mini chocolate caramel apple pie, and who doesn’t like that?! First, let me say that for this recipe I am using store bought empanada dough that has already been cut into convenient rounds. Simply thaw, then fill with some apples and pieces of SNICKERS®, bake and enjoy! 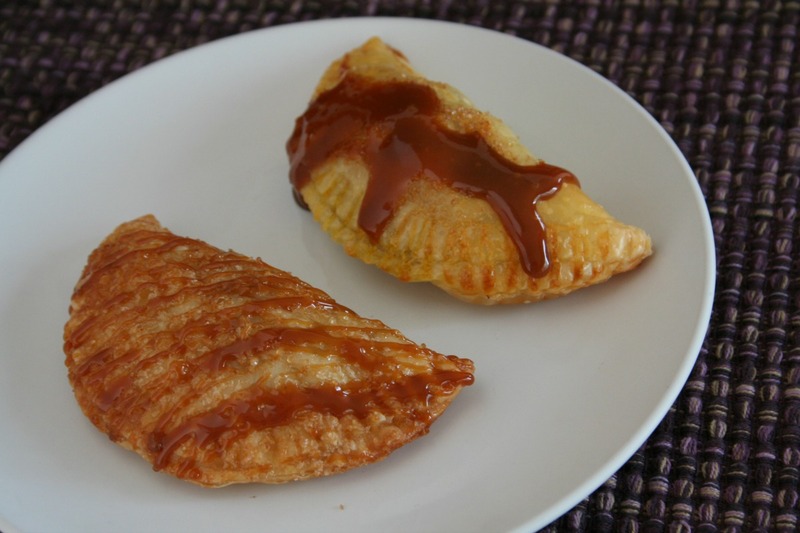 (If you have a favorite empanada dough recipe feel free to use it, but with so much to do to prepare a perfect game day spread, I say skip the stress and cheer on your team.) The premade empanada dough comes in two versions, one for baking and one for frying, so make sure you have a game day strategy. My empanadas are baked and always come out golden brown and crispy. Whether you bake or fry, play it smart and assemble these a couple of days before and freeze them unbaked (in a single layer), then bake them 20 minutes before your guests arrive and serve them warm with a drizzle of caramel for a touchdown! #Chocolate4TheWin! This recipe is so easy to make that you can take these to your next barbeque or PTA bake sale, just don’t forget the SNICKERS®, or the caramel sauce! Happy tailgating! 1. In a large skillet, melt the butter over medium heat. 2. Add the brown sugar and apples and carefully toss to coat. The sugar will begin to melt. 3. Mix in the spices and allow to cook until the apples are soft and the liquid has mostly evaporated, about 5-10 minutes. 4. Remove the apples to a bowl/plate and allow to chill in the refrigerator until you are ready to use them. 5. Line two baking sheets with parchment paper and then spray with non-stick baking spray. 6. Begin filling your empanadas: lay the dough rounds on a clean surface. 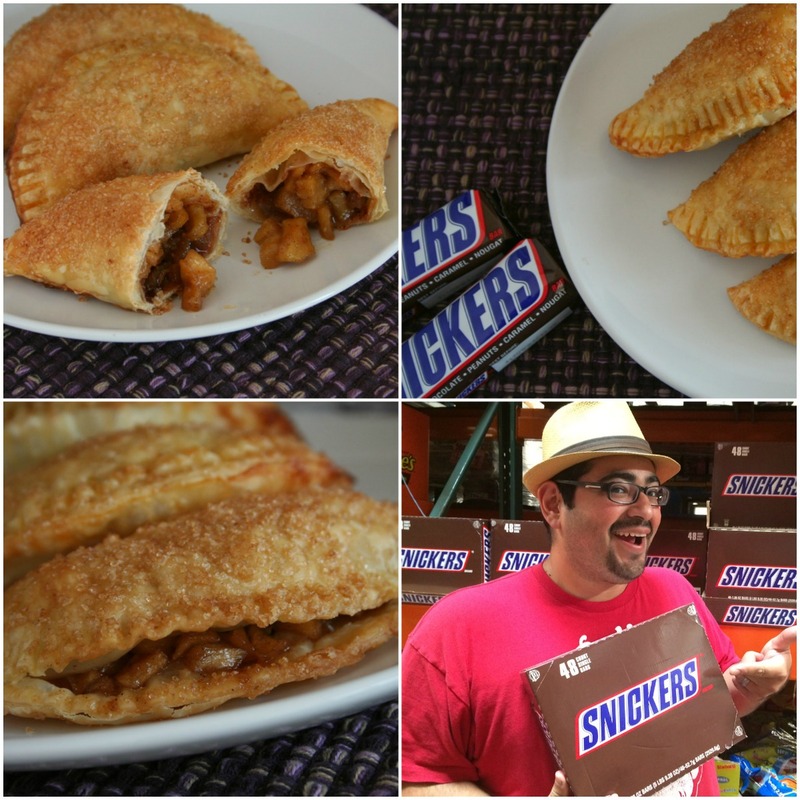 Place a few pieces of SNICKERS® and 1 tablespoon of cinnamon apple filling off-center. Using your finger or a small pastry brush, lightly wet the edge of the dough. Fold the dough over, making a half-circle and then seal the empanada shut but pressing the tines of a fork into the edge. 7. Evenly space on your baking sheets. 8. Mix the egg yolk with a teaspoon of water. Using a pastry brush, lightly and evenly brush the egg wash on the unbaked empanadas. Optional: Sprinkle the tops with turbinado sugar, or sugar in the raw. 9. Allow to chill until your oven is preheated to 375°F. 10. 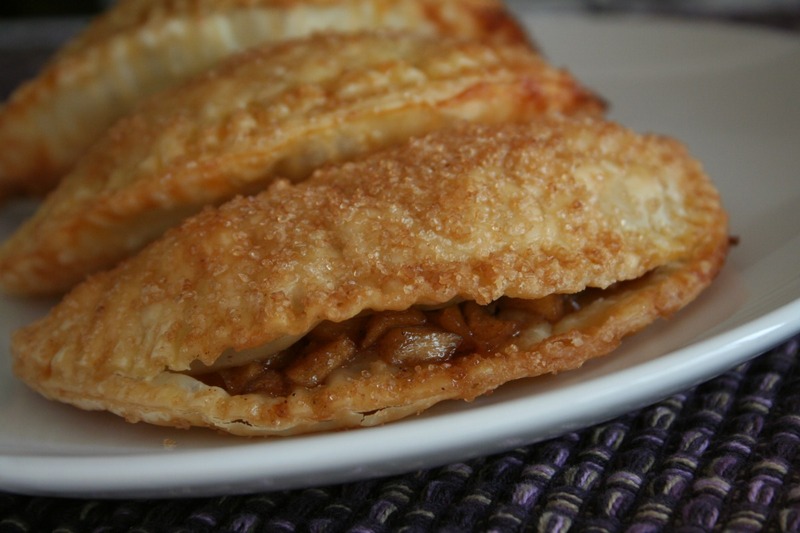 Bake your empanadas until the dough is a little puffy and golden brown. 11. Allow to cool slightly before serving.